I finished another book as part of my professional development. As part of the Meyvn Group’s Business Book Club, we read Toy Box Leadership: Leadership Lessons From the Toys You Loved as a Child by Ron Hunter Jr. and Michael E. Waddell. I had a bit of trouble relating to the content since it talked a lot about leadership within organizations – and as most of you know, I’m a one-woman show. But the authors do a great job of create a context for the creation and popularity of ten toys (i.e. LEGO® Bricks, Slinky® Dog, Play-Doh®, the yo-yo, Mr. Potato Head® and Rubik’s Cube®, the rocking horse, little green plastic army men, Lite-Brite®, and Weebles®) and then writing a chapter focused on the leadership lessons that can be learned from each. 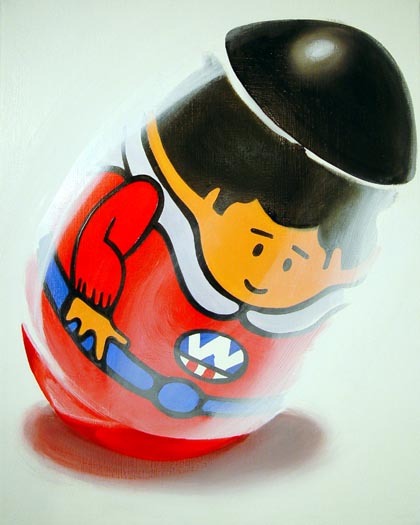 The chapter that spoke to me the most was on Weebles and about how you can never completely knock them down. They might teeter, but they never topple over. As a Free Agent, I’ve learned to understand that while there may be ups and downs I need to remain confident that my efforts will never let my business completely fail. What was the last business book you read? What did you take away from it? Previous post: When Do You Quit?